HOLDEN's new Astra sedan will launch on July 1 with a drive away starting price of $21,990. 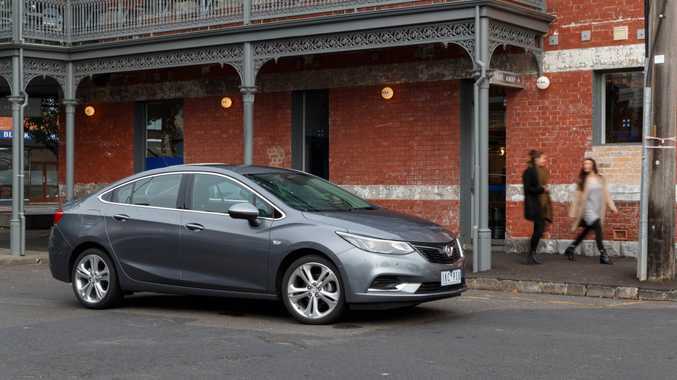 Known as the Chevrolet Cruze in other markets, the Astra sedan will be some $2000 cheaper to drive away than the European-sourced entry-level Holden Astra R hatchback which arrived late last year. The new sedan has been given 100,000km of local testing and fine tuning for Australian conditions, has 5 Star ANCAP safety and a rear view camera, Apple Car Play and Android Auto all as standard. All Astra sedans feature a 110kW/245Nm 1.4-litre turbo engine. The entry-level LS for $21,990 has a six-speed manual gearbox, while the rest of the range use a six-speed automatic. The LS auto is $23,990, LS+ $24,990 and LT auto $27,990 (all drive away), while range-topping LTZ is $29,790 before on-roads.